Settle down in the greenery of Erin Mills, an area roughly 20 miles from Downtown Toronto. 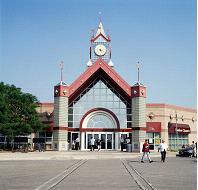 Home to over 100,000 residents, Erin Mills is also the largest community in Mississauga in land size, occupying much of the western section of the city. Major highways such as Highway 407, 401 and 403 stretches alongside of Erin Mills, increasing the convenience for its population. Many bus routes and inter-regional transit systems are also utilized by the residents for added ease of transportation: Mississauga Transit, Oakville Transit and GO Transit just to name a few. Many different forms of residential housings are available. From large luxurious detached mansions to luxurious high-rise condominiums are strategically located for increased convenience and quietness. Although mainly residential, Erin Mills still possesses plenty of room for commercial and industrial functions. 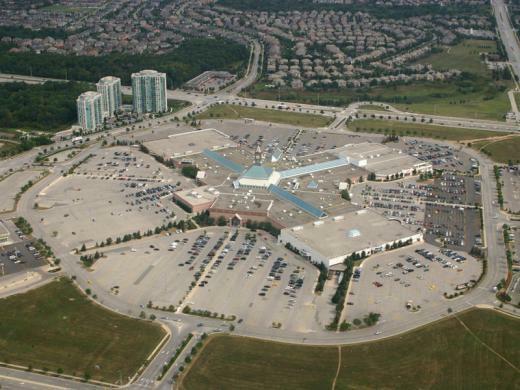 Erin Mills Town Centre, one of the largest shopping malls in Canada with over 750,000 sq.ft. and CreditValleyHospital , the largest hospital in Mississauga, are just right around the corner. Major academia such as the University of Toronto Mississauga is also nearby for bright future generations. Come visit this quiet and safe neighborhood with us! Comprising of great education, entertainment, retails, and above all, residential, Erin Mills is the perfect location for you and your loved ones! How to use our Google Map Search Engine for Erin Mills Listings. To Search Homes for Sale in Erin Mills by google map, please use the hand tool to navigate the map by clicking and dragging, the grid on the left to adjust your level of zoom, and the buttons in the top right to toggle between map view, satellite imagery view, and hybrid view.